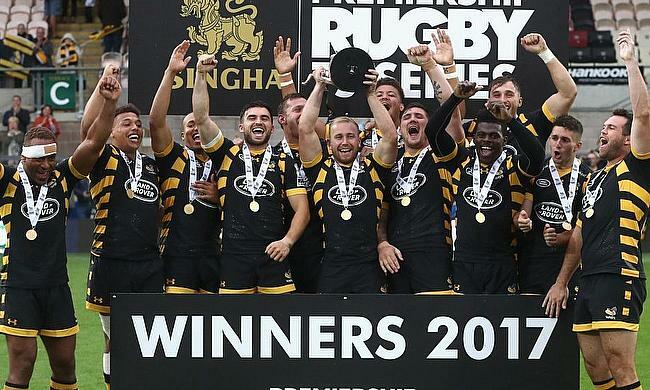 Wasps secured the Singha Premiership 7s title for the second time in two years with a 31-12 win over Newcastle Falcons at Franklin's Gardens on Saturday. Dan Robson got Wasps off the mark with a try but it was Newcastle, who bounced back hard with touchdowns from Adam Radwan and Cameron Cowell. The Ricoh Arena outfit further got into lead just before half time when Christian Wade strolled past the post and upon restart Josh Bassett and Gabiriele Lovobalavu also scored tries to complete a 31-12 win for Wasps. Earlier, Wasps completed a 27-10 win over Sale Sharks in the quarter-finals and followed it with another 21-17 win over Exeter Chiefs in the semi-finals to reach the final. Newcastle completed a 28-24 win in the quarter finals over Worcester and managed to sneak through to the finals with a win in the extra time against Harlequins in the semi-final. In the Plate final, it was Gloucester, who defeated Saracens with a 12-22 margin.